Welcome to Connie Can Crop and the 4th of July Fantabulous Cricut Crawl - Fantabulous Cricut's version of a Blog Hop!! In honor of the 4th of July holiday, we're having a Red, White and Blue Crawl. Each Design Team member has created a fabulous project using Red, White and Blue as the main colors, and of course at least one Cricut cut! If you've come from Cindy, you're in the right place! If you've just happened across my blog and would like to see all the fabulous Design Team creations head on over to Fantabulous Cricut HERE to start at the beginning. Make sure to check out each DT member's blog! There will be Blog Candy along the way at some of our DT members' blogs, and there will be a Grand Prize up for grabs at FCCB for one participant who submits a "Red White and Blue" project at FCCB! I created this layout using Stand and Salute as well as George. The banner, fireworks, and the Statue of Liberty came from Stand and Salute. My stars are from George. Also added to this layout are staples and ribbon. The patterned paper is from Storytellersclub. Your next stop is Emily. So today should be a project or layout I've made recently but I thought instead of the normal post I would vent. Remember my really cute layout Say Cheese using an SVG from CK? Well I put it for sale on eBay. And just got notice that I violated their policies and have been suspended for a week. Really? This is so stupid. I didn't even use the name Chuck E. Cheese on my listing. And here is what the CEC rep had to say. Thank you for your inquiry. CEC Entertainment Concepts, L.P. ("CEC") has invested a substantial sum in acquiring and maintaining its trademarks, including the goodwill now associated with them all over the world. The intellectual property rights associated with those trademarks are very valuable to CEC. While your endeavor may be appear to a "small" issue, in the realities of trademarks rights this can create larger issues for us. Trademark law requires trademark owners to diligently protect their rights or risk the ability to defend its rights against those who would seek to pirate away the trademark. If we cannot protect our trademark we will lose our distinctiveness and ultimately our ability to be profitable. Your listing is not precisely as you describe in your email. The materials contain a mouse image that is confusingly similar to Chuck E. Cheese and thus constitutes an unauthorized use of our trademarked character. Also, the description in your listing contains the term "Chuck E." which is also deceptively similar to our trademarked name Chuck E. Cheese. As you probably know the character Chuck E. Cheese is often referred to by us as well as others, as Chuck E. Accordingly, we cannot allow you to use our trademarks, or confusingly similar likenesses, to promote your business. I hope this helps you understand why we police these the way we do. Can you believe this? I'm just a crafty gal trying to make some money so I can put food on the table. This guy needs to get a life!! Thanks for letting me vent!! By the way if you like my layout and want to buy one just let me know. Maybe I'll start selling more on etsy. (Because we all start somewhere!) LOL! I hope you get a kick out of seeing the progression in my work, I know I do! Here's a funny layout featuring one of my fur babies. I have no idea why he is Patriotic! LOL! So funny! But this is one of my fav pics of Tucker!! And the red white and blue is so appropriate for this time of year. Thanks so much for joining me today! I hope that you have enjoyed my project as much as I enjoyed sharing it with you. I love receiving comments and new followers. It means so much to me! So please feel free to drop me a note and follow my blog for more inspiration, giveaways, and tips. Happy Crafting and Scrappy Hugs! Don't forget to enter my new Monthly Challenge Tie A Ribbon! NO ONE has entered this yet!! C'mon it is probably the easiest challenge of all!! All New Look Book Inspiration! featuring MemoryWorks products from our current catalog. you would like to order! I'd be glad to help you out! 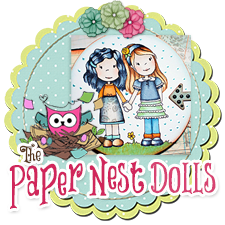 Every Tuesday I will be featuring a new You Tube video that pertains to scrapbooking, card making, or crafting in general. Some of the videos may come from me, Connie Can Crop but most of them will be coming from various videos that have already been uploaded by someone on You Tube. This is a great way to see some new things, become inspired, and learn different techniques. This week I am featuring a video by Joy's Life. She is going to show us how to emboss with our Cricut and a backwards blade. Please be sure to follow me for more creations and inspiration. And don't forget to enter my Monthly Challenge to win some yummy ribbons from 3 Girl Jam! Enter for a chance to win a $15 gift certificate to 3 Girl Jam!! We invite you to create any project using a frame with your Cricut. Be sure to upload your entry on the FCCB challenge blog. 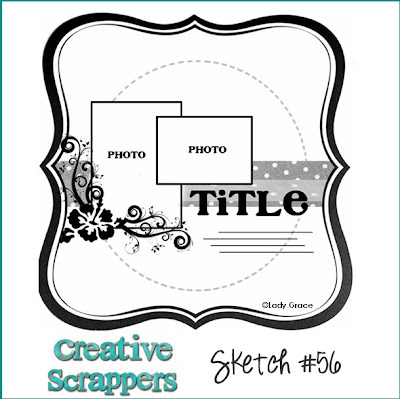 A new post every Saturday featuring a fun card or scrapbooking sketch on my blog. Looking for inspiration and need a kick jump on that next layout? Look no more! I will be showcasing some of my favorite sketches ever! Isn't this one great! It comes to us from Creative Scrappers. Share your fun projects using this sketch...link up below! I finally get to showcase what I made for my Father and Father in Law for Father's Day. I purchased these wooden clock kits from Kaiser Craft last year at the Expo. I love altering things and thought this would make the perfect Father's Day gifts. And the clock really works! Wohoo! This year was extra special because the day after Father's Day my dad came to visit us from Florida. It had been 7 years since I had seen him last. So awesome to be able to hand him this gift in person. 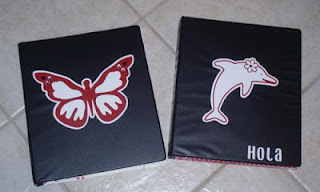 A new kind of fun on my blog where you get to see projects I have created in my early days of scrapbooking. Some of these projects may surprise you! (Because we all start somewhere!) LOL! Last Sunday was Father's Day. So I thought it only fit to showcase a layout of the man in my life. He is an awesome father and husband and I am truly blessed. This layout was made in 2005. And yes....those are actually real pennies on my layout. LOL! I know kind of strange! But at the time I thought it was really cool! So, what is the strangest thing you have ever added to a scrapbook page? I was lucky enough to participate in two amazing Blog Hops this past weekend. Thank you to everyone who came and hopped along with us! I hope you were inspired and enjoyed what all the fantastic ladies created. Let's start today off with some winners!! Wohooo!! Please contact me with your email address so I can send you this fun file. Miranda, please email me so I can get you the contact info for your free stamp set. Now, if you are still with me you are in for a treat...kind of! LOL! What do you do with all the left over rub-ons you have stashed away waiting to use...easy you make nail art. So fun and easy to do! Then after it dried I applied my rub on design where I wanted it and rubbed it on with just my finger nails. Afterwards I covered it with a clear coat. You could spend tons of money getting these results at the nail salon. Be sure to come back by tomorrow for another great Throwback!! What an awesome video! I learned some more new tricks! Hope you do too! Welcome to the "Father's Day" Blog Hop! We're so happy you could join us today to honor Fathers, Brothers, Sons, Uncles or any other man who has been a great influence in our lives! You should have arrived from Lissa Marie. If you happened by my blog or are joining me from your dashboard, head over to Miranda's blog to start at the beginning. The winner will be announced Wednesday, June 19th on Miranda's blog! My project is a Father's Day Layout using a file from Creative Kuts. I also added some buttons, twine, and 3GirlJam Ribbon. I am offering up this cute file as blog candy! One lucky winner will receive this file just by leaving a comment below!! Good luck! Winner will be announced Wednesday. Next on the hop is the lovely PAM!!! Connie Can Crop is the first stop on this fun Blog Hop. 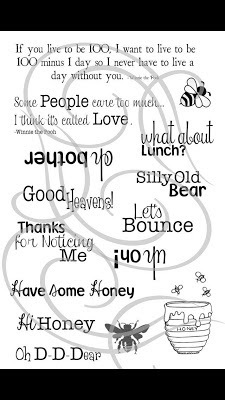 I had to create a layout with my favorite Pooh Quote, "Oh, Bother!" The Winnie the Pooh paper is from a discontinued Creative Memories Kit I have been hoarding. 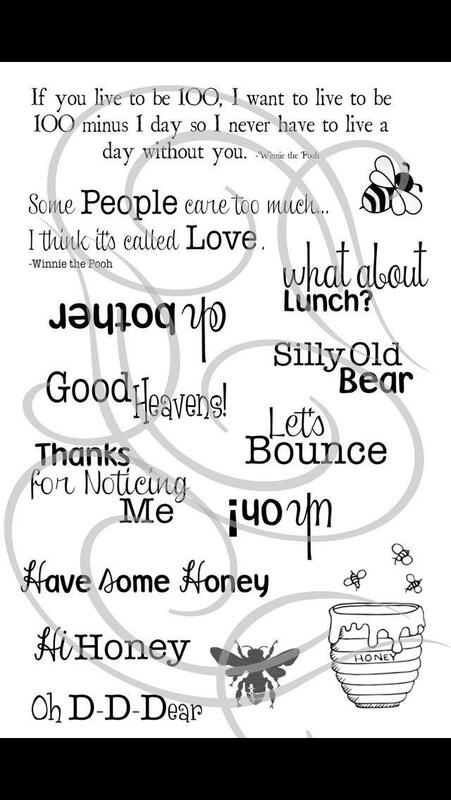 Of course Pooh, Tigger, and the Honey Pot are from Pooh and Friends. The Title is made with Hello Kitty Font and the flowers are made from Walk in my Garden. I love vinyl!! These were some of my first projects using it! They are regular 1 inch binders. I love personalizing items with vinyl! It's so fun!! What an awesome video! I learned some new tricks! Hope you do too! Next week I will feature part 2. We invite you to create a card for Father's Day with your Cricut. Just wanted to share this simple single page layout I created using one of the newer Storytellersclub Kits. This layout was created with a Storytellersclub Kit for one of their May Scrapping Days Challenges. Yes that is me again with my three sisters. I am the oldest of 4 girls. This week for my throwback I am featuring a layout I did several years ago. Not only is the layout one of my older creations but this photo is a throwback as well! LOL! This is me and my younger sister, Christina. Mom loved to put us in matching outfits! LOL! Come back next week for another oldie but goodie!! Have you ever been to Chuck E Cheese? My kids loved that place. We have been to more birthday parties there than I can even count. LOL! Well, Creative Kuts has this adorable file called Say Cheese and it is perfect for those memories. This week I am featuring a video from my Challenge Sponsor, 3 Girl Jam. They sell this awesome bow maker and I can not believe how easy it is to create perfect bows. THANK YOU to everyone who played along with me in the month of May! And Thanks to our awesome sponsor!!! Congrats Kathy!! Be sure to contact me with your info so I can pass on your prize!! And don't forget your button!! The new Challenge is up! Be sure to check it out!! It's June and that means another new Monthly challenge here at Connie Can Crop. School is out and Summer is here!! Create a project using three different ribbons. Please create one layout, card, or other project. Your layout can be single page or double page. You may use any other products you wish. Just be sure that the above listed items are on your project. When you are finished with your project please post it here in this thread. Entries are due by Sunday, June 30th at 11:59 pm. We have an awesome sponsor and giveaway for this challenge! They will be giving away $15 gift certificate to their online store. let them know Connie Can Crop sent you. You will fall in love with their ribbon!! You need to link your project up below using Mr. Linky. You have until midnight June 30th to link it up. Good luck and can't wait to see your creations! Love this sketch? Let's see what you can create using it. Add your completed layout below with Mr Linky so we can all enjoy it together. You never know...there could be a random giveaway on one of these Saturday posts. I will be working on this very soon!! Come back on Sunday for my new monthly challenge and to see who my amazing sponspor for this month is! !